There are many ways to do business with MMA, and to support our member municipalities. Remember: There is no better way to put your company name, products and services before municipal decision makers, than through MMA and the many options that we can provide. Members: Click here to gain access to your new online MMA E-Business account. Order publications, register for workshops, our annual convention and more. The Products & Services Directory provides municipal officials and employees with an opportunity to shop for services and products. Click here to view. 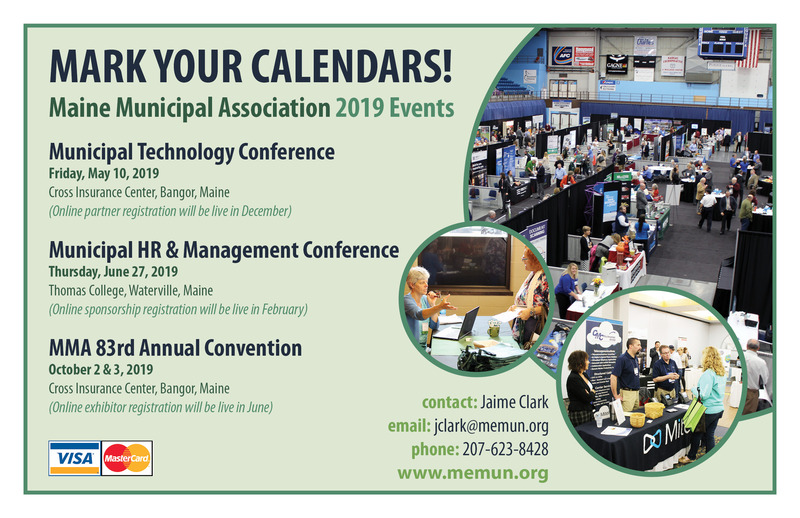 Host your next meeting or event at the Maine Municipal Association's state of the art conference center in Augusta. Advertise in The Maine Town & City, MMA's Municipal Directory, our website and other publications. Download MMA's Media Kit for additional information. Click here to view a list of MMA Business Patrons. Interested in becoming a Business Patron? Click here to apply. Now accepting advertising for the 2019-2020 Maine Municipal Directory. Please click here to be taken to the online advertising order form. If you have any questions, please contact Jaime Clark at: jclark@memun.org or 207-623-8428 ext. 2298.